Welcome to Jap Sports Spares. 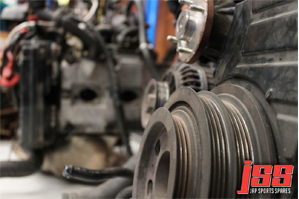 JSS is a dealer of used car parts from damaged imported performance vehicles. Based in Smithfield, NSW, JSS is the premier wrecker of imported Japanese performance cars in the Inner West. JSS is your first choice in sourcing used car parts for your Japanese performance car! We have plenty of parts readily available at our workshop.